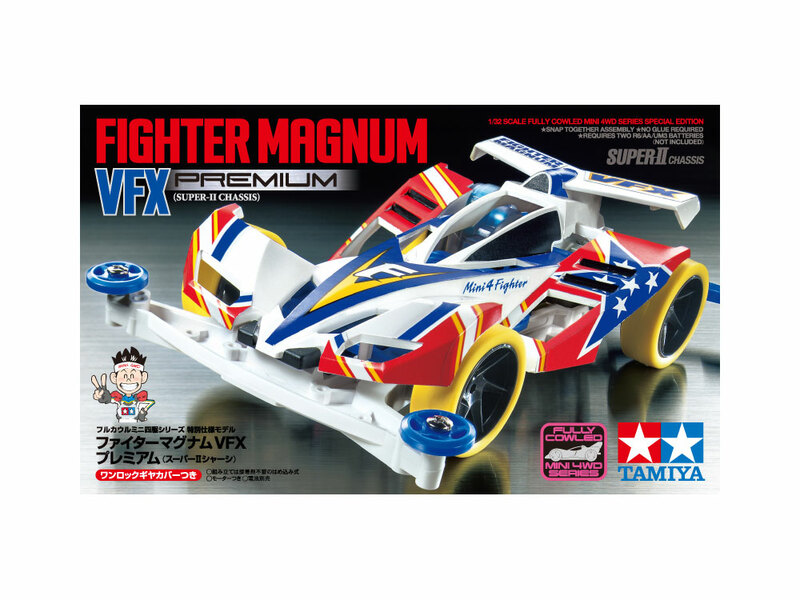 This assembly kit ceates the Fighter Magnum VFX Premium, an exciting Mini 4WD car! Its racy body features cutaways in fenders and the cockpit for a lightweight finish. 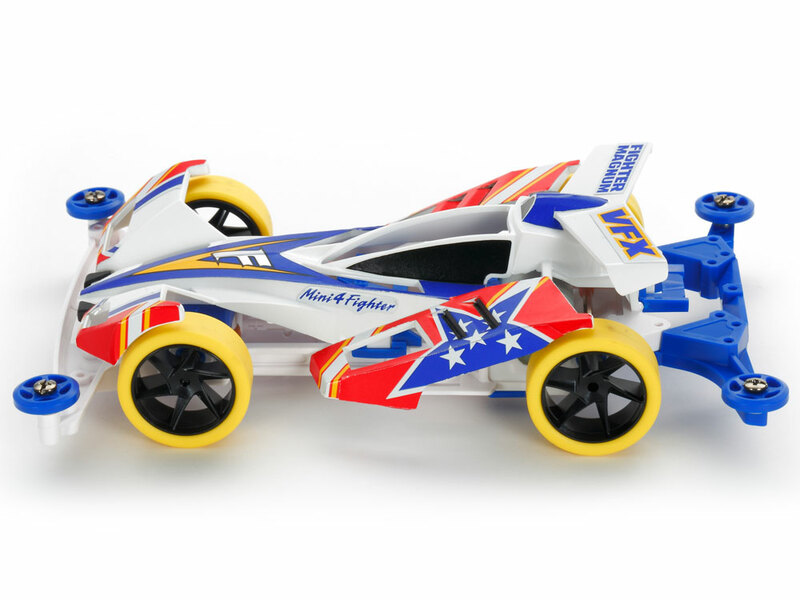 Metallic stickers are included in the kit to add red, blue and yellow markings to the white resin body, which is paired with the race-spec Super-II chassis. The Super-II chassis offers impressive toughness on a wide frame. 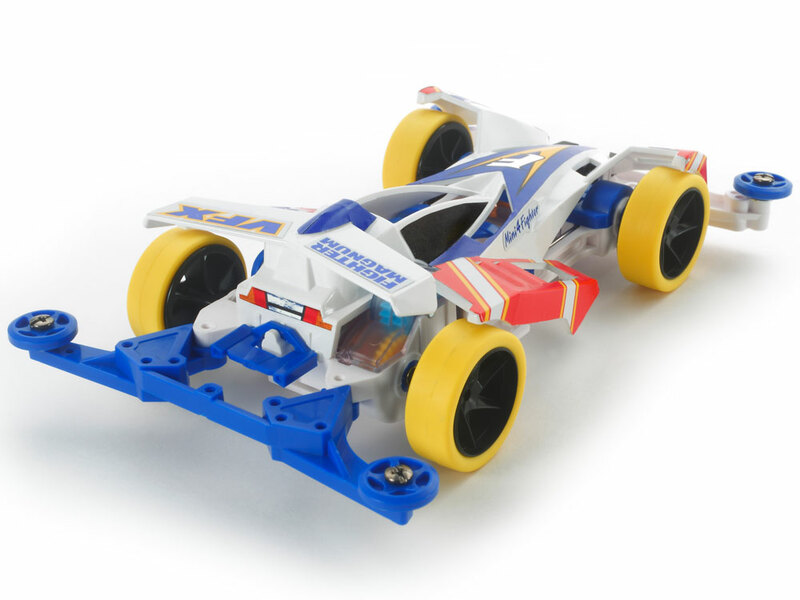 Here, it appears in white ABS resin and is matched with blue battery holder, rear roller stay, and other A parts. Tinted light smoke ABS gear cover shows off the interior workings of the chassis. The model also features multiple bumper and rear stay attachment holes to allow a range of set-up options. Black spiral 6-spoke wheels are paired with hard, small diameter low-profile tires in yellow, and the model comes with a 3.5:1 gear and motor.